The first step in starting a business is an idea. The second step is finding the money to make that idea come to life. There are two primary ways that company founders can find the necessary capital to start a business: bootstrapping or outside funding. Bootstrapping requires funding the company based on capital provided by the founders’ immediate networks—generally family and friends—or by themselves. It may mean taking on personal debt in the form of a bank loan or credit cards. Outside funding includes investor funding, where angel investors or a venture capital fund provides capital, generally in exchange for equity in the company. It also includes crowdfunding, which has its own set of pros and cons (not the least of which is Kickstarter’s 41% failure rate). The founders retain complete control of their idea. Limited funds require the company to operate in a way that is both lean and efficient, laying a strong foundation for future growth. The business remains very consumer focused since all incoming money is from customers instead of investors. When it comes time to exit the business, the founders keep a larger share of the profit, without having to split it with investors. Entrepreneurs who fund their companies themselves may end up in debt if their businesses fail. Growth may be slower due to less capital for business investments, especially if the company fails to become efficient enough in terms of product development or marketing; this may mean the company founders have to work for a while for nothing (or close to it). Competitors with better funding can sometimes swoop in and steal the market. Not every business venture CAN be bootstrapped; some simply require a large amount of capital to get started. Cash. The more cash on hand the more opportunity a business has for growth. Take, for example, social marketing software company Dachis Group. VentureBeat.com reported that Dachis Group raised $30 million during their first round of funding and another $7.5 during their most recent (and third) round of funding. A new company can do a lot with that kind of capital. Investors often bring knowledge, experience, resources, contacts and useful information into the deal that can help the business grow. They can help the founders think more strategically and offer advice at key points in the company’s life. If an investor is high profile, it can also help give the new business more credibility. The investments made in this manner typically do not need to be repaid, although they often require the owners to give up some equity and may place other restrictions on the founders or business. 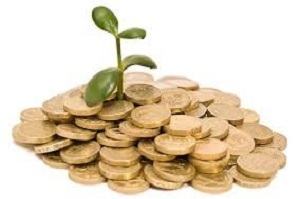 Investor funding generally means giving up some percentage of equity, and with it, decision-making power. Other restrictions might include a cap on salaries, requests for royalty or limits on the amount of equity that can be given to other investors in the future. Many founders find it harder to be as disciplined with someone else’s money as they would be with their own, which sometimes leads to waste and prevents the company from being as lean as it might have otherwise been. Raising funds can be time-consuming; according to Jun Loayza, currently President of Reputation Hacks, who has raised over $1,000,000 in funding and sold two internet startups, fundraising can easily be a full time job—which takes away time that could be spent on the business itself. Even if business owners invest the time and energy to find investors, most will still be turned down—GigaOM has a good post on how to avoid that fate. The type of funding a business seeks is highly dependent on its founders, their personal financial situation and their ultimate goals for their business. For someone who is starting a business with an exit strategy in mind, finding the right investor may mean they can get the business growing more quickly, allowing them to sell it for a higher price. Or it may mean they have to split the profits and spend large amounts of time focusing on things outside the business itself, making bootstrapping the better choice. For someone looking to turn their passion into a business, giving up control of their idea to someone else might dilute their dream. Or, pairing up with an investor may give them the capital they need to take that dream and make it bigger and better than they ever could alone.